The 2016 calendar year is coming to an end, and it’s been a fascinating year for the Chicago Blackhawks. From the highs of Patrick Kane and Artemi Panarin lighting the league on fire last season to the lows of a first round exit at the hands of the hated St. Louis Blues, the Hawks had a lot of important moments this year. Below is our top ten list of important moments this year. What are yours? 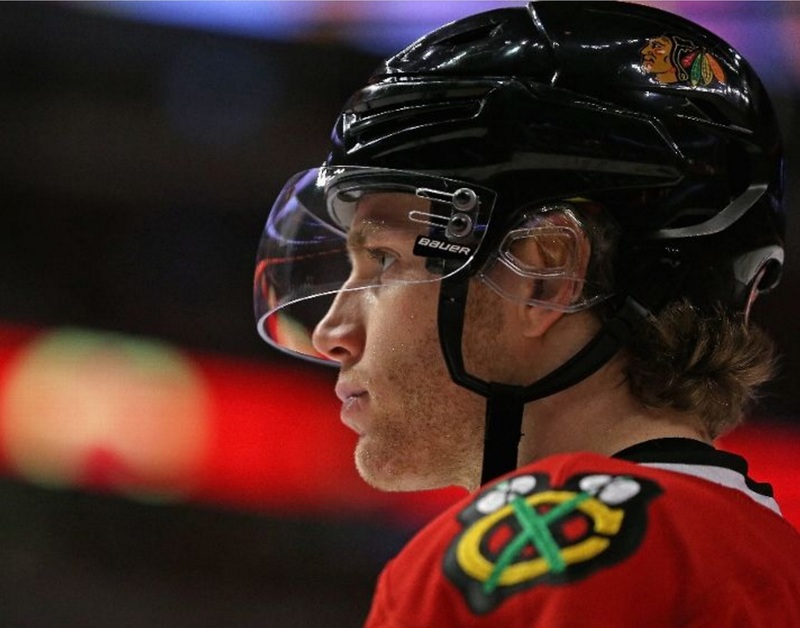 On Feb. 25, GM Stan Bowman decided the Blackhawks were in position to go all-in. So the Blackhawks traded a hefty package – Marko Dano and a #1 pick in the 2016 Draft – to Winnipeg for their captain, former Blackhawk Andrew Ladd. 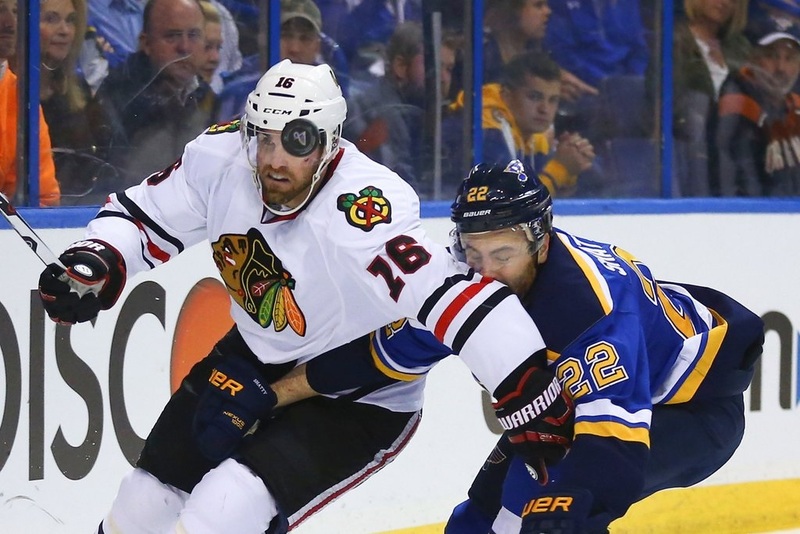 Ladd scored nine goals in 18 regular season games but was limited to only two points in the Hawks first round loss to St. Louis. 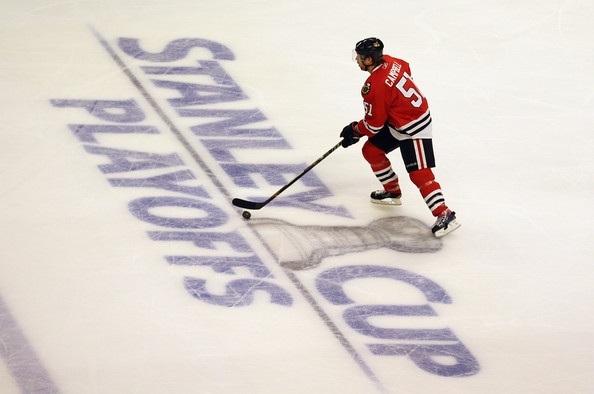 After their first round exit from the postseason, Bowman publicly identified the blue line as an area of need. And right out of the gate, he made a big move in free agency by bringing back another familiar face. Brian Campbell signed an incredibly team-friendly deal to return to Chicago, where he signed an eight-year deal in 2008. Panarin is going to hit this list twice, and both are financially driven moments. When Panarin closed out the 2015-16 regular season with a three-point game, he finished in the top 10 forwards in scoring categories. That distinction earned $1.725M in bonuses, giving him $2.575M in total bonuses achieved. 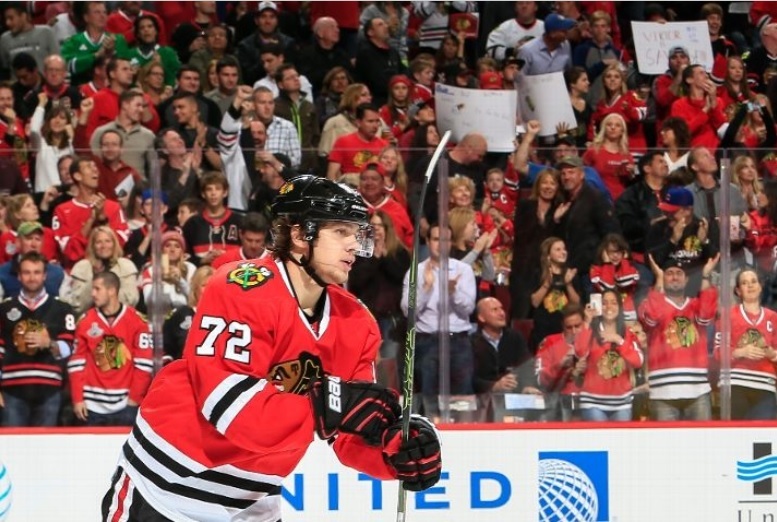 Because the Hawks went for it, Panarin’s overage rolled over to this year’s salary cap. It didn’t happen until Dec. 29, but Kane reached a major milestone in Nashville when he picked up the 700th regular season point of his career. On June 24, Bowman made a tough but predictable move. The rights to forward Andrew Shaw, who fans had loved since he broke into the NHL during the 2011-12 season, were traded to Montreal for two second round picks. 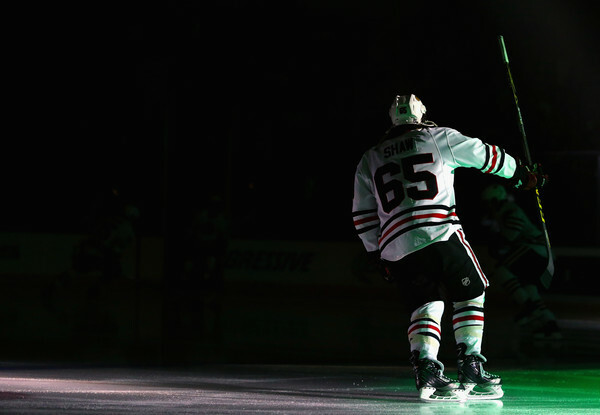 Shaw would later sign a six-year, $23.4M deal with the Habs. The Blackhawks used the two second round picks on forward Alex DeBrincat and defenseman Chad Krys. It took him a while to get there, but once Hossa reached the historic milestone the floodgates opened. Hossa’s first goal of the 2016-17 season was the 500th of his Hall of Fame career. He has gone on to lead the team in scoring (but is currently injured). Because the Hawks spent all the way to the cap (see #10) and Panarin reached significant bonuses (see #8), Bowman needed to unload salary to make the 2016-17 season happen. 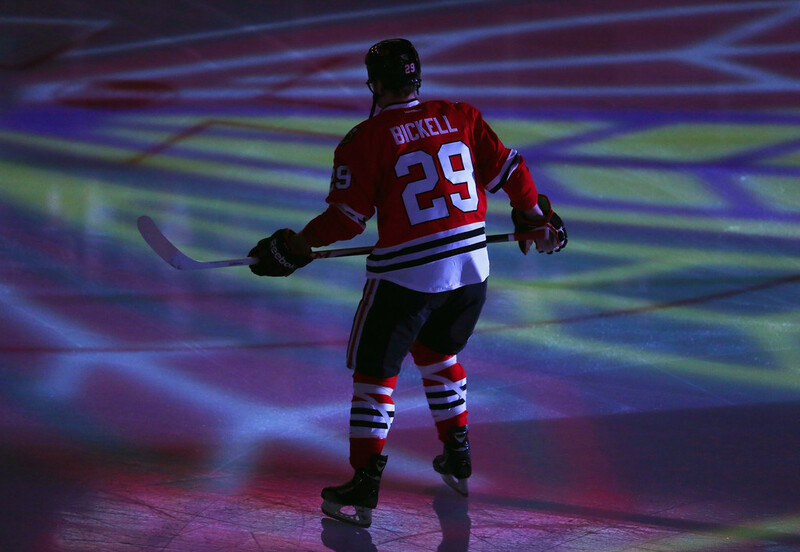 Unfortunately, Bryan Bickell had struggled since getting his big money extension and his $4M cap hit needed to go. Chicago packaged him with uber talented youngster Teuvo Teravainen on June 15th, receiving a second round pick in the 2016 NHL Draft (Artur Kayumov) and a third round pick in 2017. 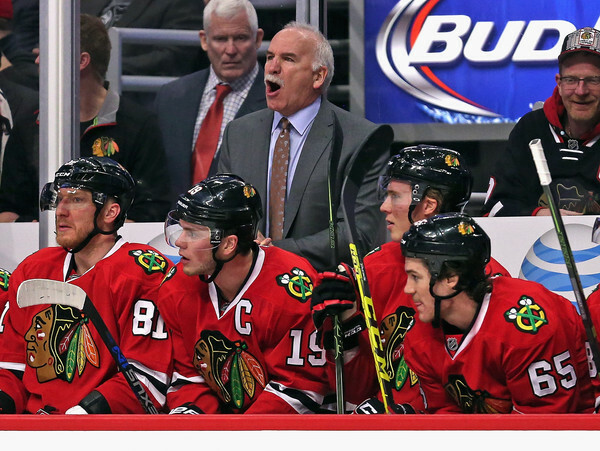 Only two weeks into 2016, Chicago’s coach moved into a hard earned place among the all-time greats in hockey history. With a win over the Montreal Canadiens, Quenneville passed Al Arbour to become the second all-time winningest coach in NHL history. 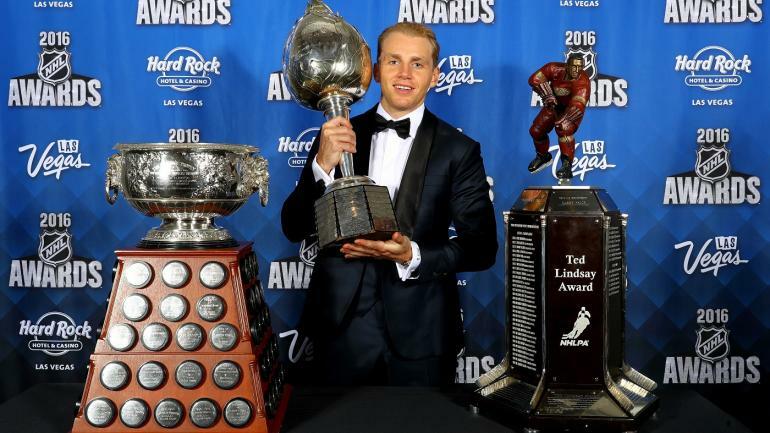 After a stunning 2015-16 regular season, Kane joined an incredibly elite fraternity by adding the Hart Trophy to his collection. Kane posted 106 points in 82 games to lead the league, winning the Art Ross Trophy and also receiving the Ted Lindsay Award from his peers for his performance last season. These three individual honors join the Calder Trophy and Conn Smythe Trophy on his Hall of Fame resume. Since taking over as the Blackhawks’ GM, Bowman has allowed a long list of players to move on at the expense of keeping his core group – Kane, Toews, Hossa, Keith, Seabrook, Hjalmarsson – together. 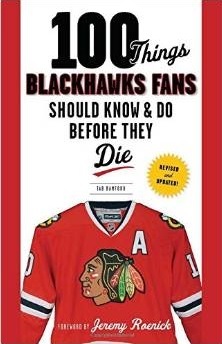 Some of the defections (Kris Versteeg, Dave Bolland) haven’t hurt as much as others (Shaw, Brandon Saad, Nick Leddy). In the last few days of 2016, Bowman and Panarin both took the bold step to keep Panarin in Chicago for at least two more years. 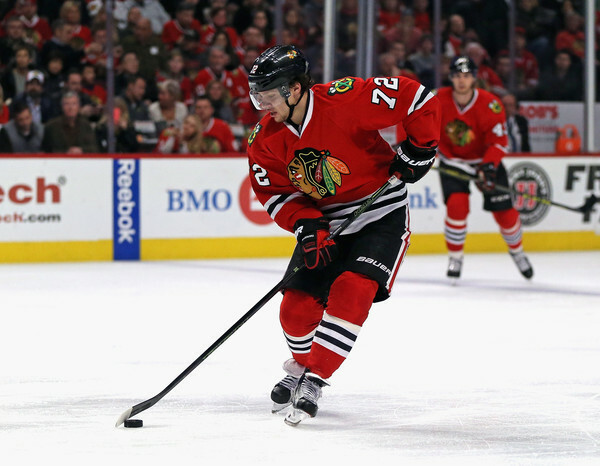 Panarin signing a two-year bridge deal with the Blackhawks is our most important moment of the calendar year because he has shown to be as dynamic an offensive threat as there is in the league, and gives the Blackhawks a desperately needed spark other than Kane. The number one moment was a tie in my opinion between losing to St Louis (when I thought the Hawks had the better team and in my opinion a great team) and then responding by trading away a young star of the future (Tuevo) just to escape a short term salary cap issue. While the Hawks have just enough now to win some boring hockey games, when it matters in the playoffs I fear they unfortunately won’t have enough because of this bad trade. Sorry to be so negative, but this post is a year end recap so I think its appropriate to comment on this issue again. Hawks fans don’t be fooled by the record. That trade killed off the near term future. Pete-I too was disappointed when TT was traded and we didn’t get to see what he could become when stronger. The Hawks have a few skilled players who can replace at some point, with one getting time in Rockford. Teuvo will almost certainly never be a Kane, Toews or Hossa so we lost a starting top 9 player with potential to be top 6 and we move on. I wouldn’t use the word boring, perhaps predictable at times. When they get it going they are still fun to watch.